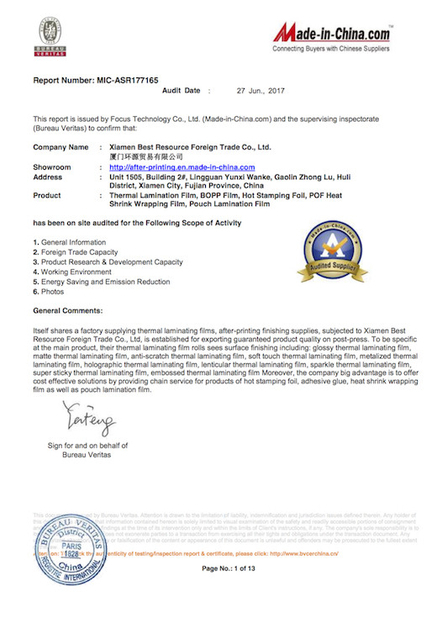 Scratch Resistant Film is a consequence of special chemical treatment onto the surface of base BOPP film. 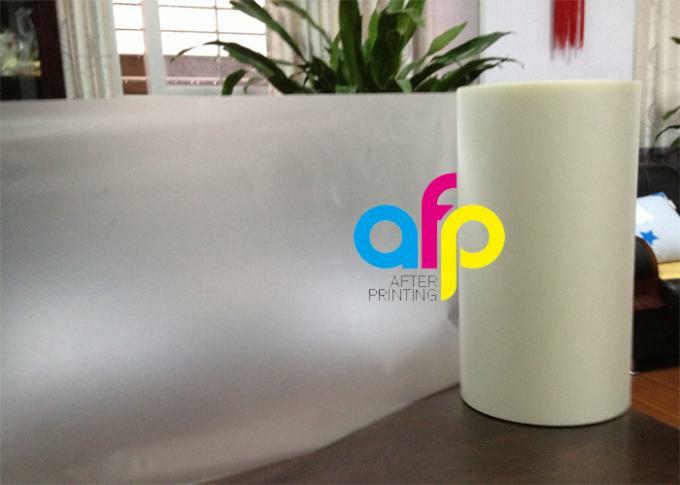 Scratch-free film is extrusion-coated with EVA by internal surface, giving support to be laminated through heat. It is especially designed for high quality media, presenting a semi-matte surface on outside that give the film a pleasant touch and enhance the image of laminated products. 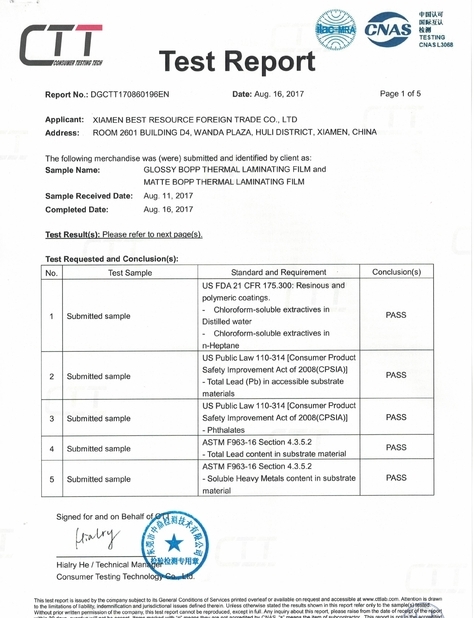 What is Scratch Resistant Lamination Film? 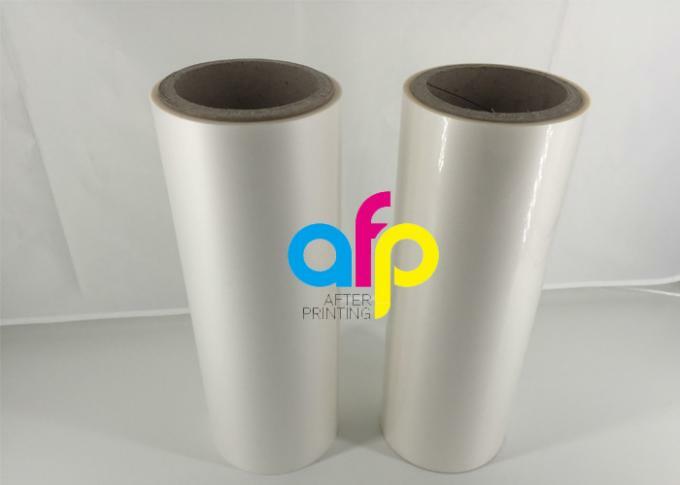 As the name calls, it is scratch resistant as a consequence of special chemical treatment onto the base film of BOPP, this film is extrusion-coated with EVA by one side, giving support to be laminated through heat. 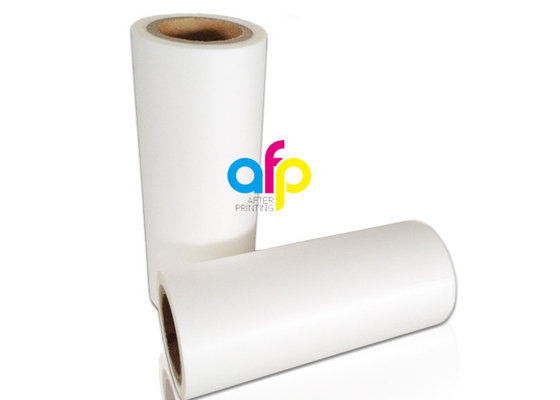 Anti-scratch Thermal Laminating Film is especially designed for high quality media, presenting a semi-matte surface on one side that gives the film a pleasant touch and enhance the image of laminated products. 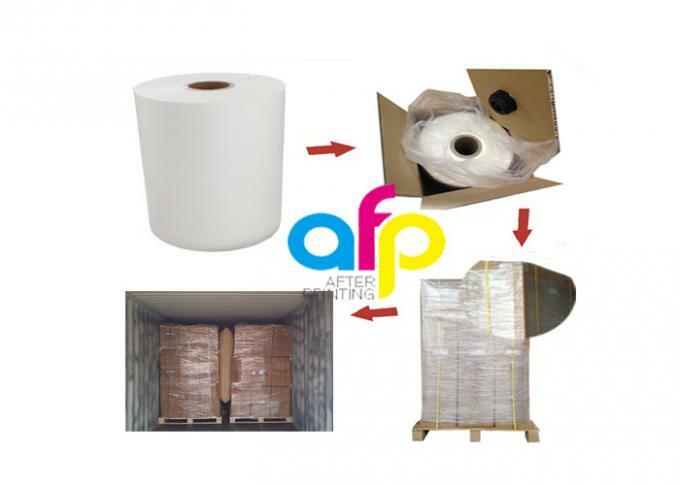 Scratch Resistant Lamination Film is seen as luxury packaging material for cosmetic, technology any other type of post-lamination enhancement.